M. and Mme. Curie Experimenting with Radium. Curie was the first woman to win a Nobel Prize and the first person to win two Nobel Prizes, one in Physics and the other in Chemistry. Marie Curie, (née Maria Sklodowska) was born in Warsaw, Poland, in 1867, the daughter of a secondary-school teacher. Her father gave her some scientific training and she then attended a secret academy, the “Flying University,” organized for young women who wanted to take college-level courses but were not permitted to attend the University of Warsaw. The classes met in different locations to avoid the attention of the police. Russia had invaded Poland in the 1790s and dominated much of Polish life. In 1830, Marie’s grandfather had participated in an uprising against the Russians, and Marie followed in his footsteps. She became involved in a students’ revolutionary organization, but soon found it prudent to leave Poland. She worked as a governess to raise the money and in 1891, went to Paris to study at the Sorbonne, where she received advanced degrees in physics and mathematics. 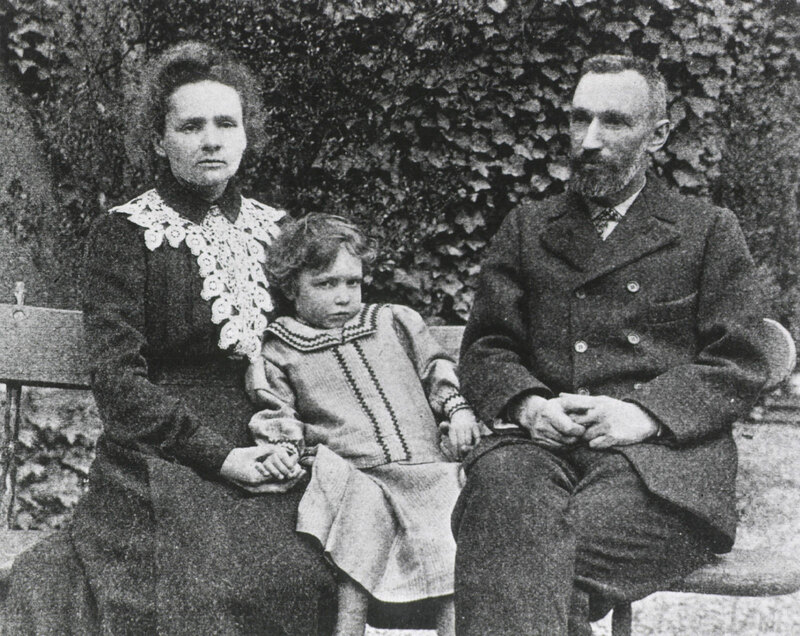 Marie, Irene, and Pierre Curie, ca 1870. At the Sorbonne, she met Pierre Curie, Professor in the School of Physics, fell in love, and in 1895 they were married. They worked closely together, studying the radioactive elements in uranium, then recently discovered by Henri Becquerel. As Marie described their poor working conditions: “We had not even a good laboratory at that time. We worked in a hangar where there were no improvements, no good chemical arrangements. We had no help, no money. And because of that the work could not go on as it would have done under better conditions.” Nonetheless, their work was highly productive. 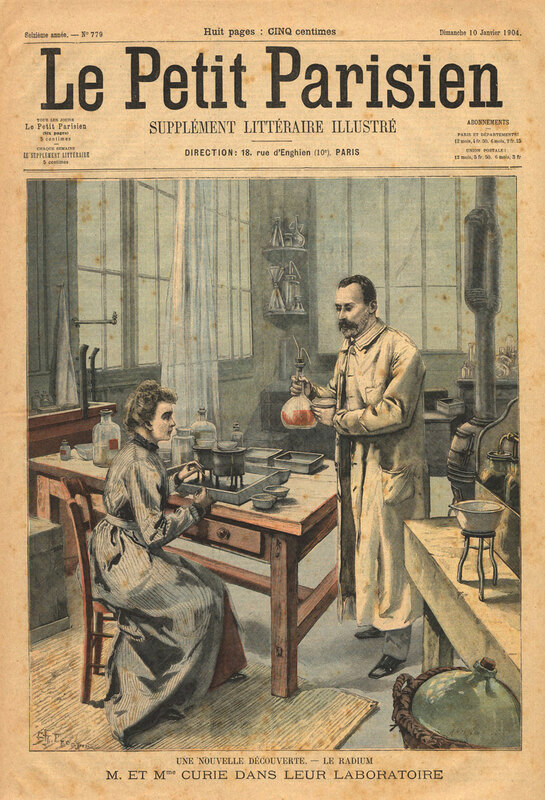 Marie would later succeed her husband as Head of the Physics Laboratory at the Sorbonne and then take his place as Professor of General Physics in the Faculty of Sciences. She was the first woman to hold this position. 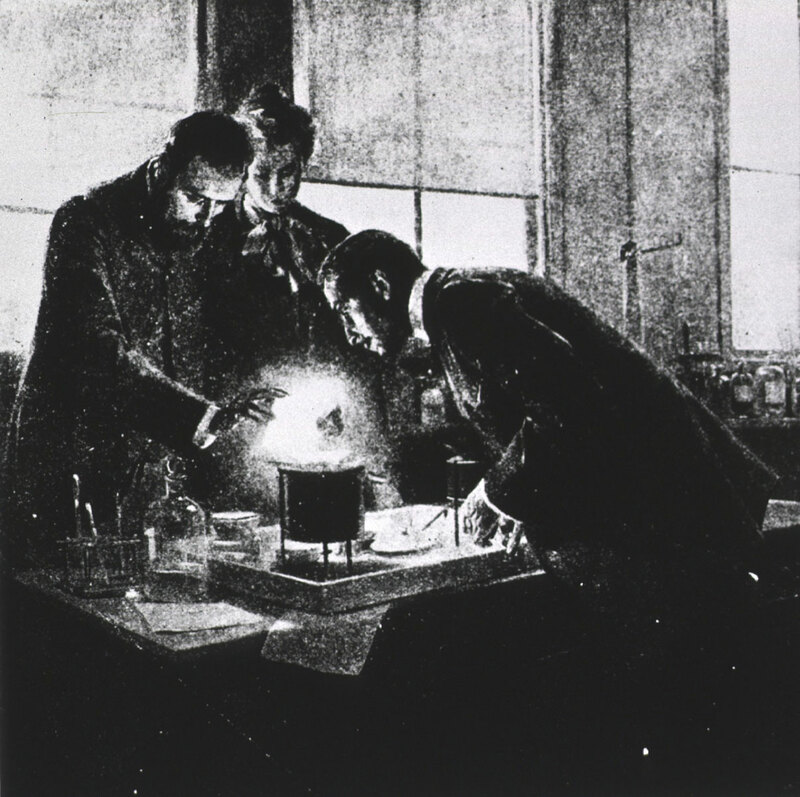 In 1903, Marie, her husband Pierre, and Henri Becquerel were awarded the Nobel Prize for their work on radioactivity. Marie received her second Nobel Prize for discovering the elements radium and polonium, isolating these elements, and studying their characteristics. (She named Polonium for her native Poland.) The Sorbonne then built two laboratories, named the Curie Institute. Here, under her direction, scientists studied the physics and chemistry of radioactive substances and their potential medical uses, including the treatment of cancer. Curie believed that radium was going to be a great boon to health; during World War I, she championed the use of mobile radiography units, popularly known as petites Curies (“Little Curies”), for the treatment of wounded soldiers. In 1921, Curie traveled to the United States to receive one gram of radium in recognition of her accomplishments. Radium at the time was exceedingly expensive—a hundred thousand times more expensive than gold—but Marie Mattingly Maloney, an enterprising journalist, had raised the $100,000 needed for one gram, and President Harding presented it to Curie at the White House. While in the United States, Curie received nine honorary doctoral degrees and visited the Standard Chemical Company in Pittsburgh where the radium had been produced. In her address at Vassar College, Curie expressed her gratitude to the American women who had given her this great gift. Curie was not aware of the dangerous potential of radium; she died 80 years ago tomorrow, on July 4, 1934, from aplastic anemia contracted from radium exposure. Radium is powerful, both for good and for ill, as we recently have been reminded by the tragedy at the Fukushima Daiichi nuclear plant in Japan. Elizabeth Fee is Chief Historian in Office of the Associate Director for Library Operations at the National Library of Medicine. She would like to thank Ann M. Lewicki for her assistance with this post. Great story of one of the great women. Didn’t know she died from her own experiments. Of course, the effects of radium weren’t known at the time she was performing them. The last sentence of Ms Fee’s excellent article should read not radium is powerful but rather radiation is powerful. There was actual radium -226 discovered but it was 145 miles from Fukushima, located in 2 bottles under a house sequestered for unknown reasons. It had nothing to do with the loss of radioactivity from the power plant. Just one of those anamolies that happens for which there is no explanation. Madame Curies discoveries I think are best remember today as the cause of the lady radium watch painters tragic end and for polonium’s use as a tool for assassinations. Marie Curie, like all great scientists, worked to understand the world around her and to add to human knowledge, and she was very successful. Each new discovery brings risks and opportunities. Today, her discovery is of great use in the treatment of cancer.